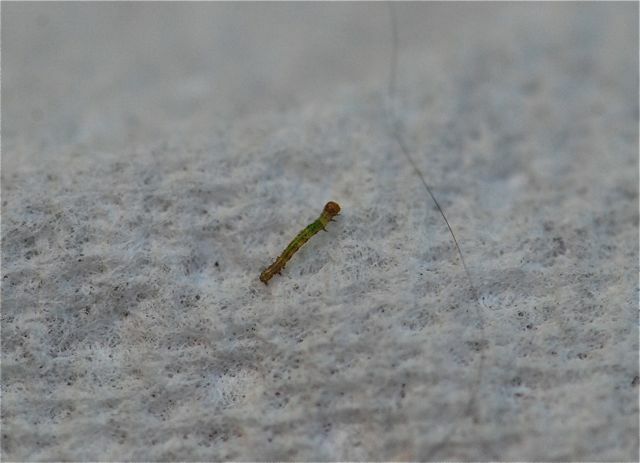 If you wondered what the insect eggs from last week's post hatched into, here's a peek at the tiny caterpillar. 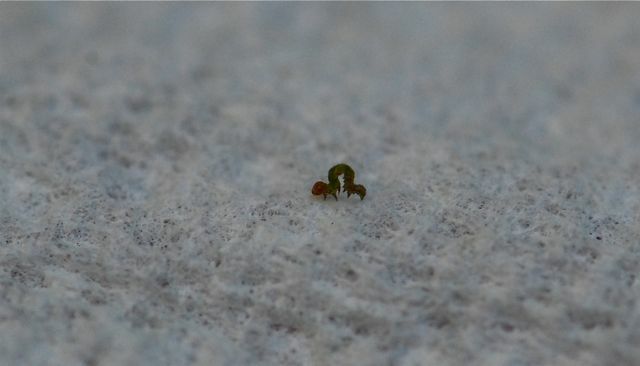 To give you a sense of scale, I placed it on a white paper towel with a human hair. Check out how big the head capsule is in relation to its body. 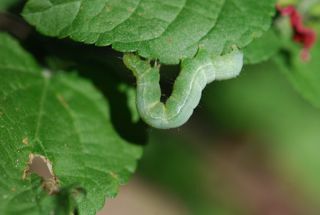 This looping behavior suggests it is a cabbage looper caterpillar. so tiny. your pictures are awesome. Thanks, just made me wish I had a microscope with a camera... So many tiny things are amazing. Do you know what kind of plant the caterpillar was on when you found it? Caterpillars do best if they can continue eating the same food they've been eating, which is probably the plant you found it on. If you have no idea, try feeding it lettuce. If the lettuce works, then give it fresh each day, or even twice a day, and remove any dried out leftovers.